The Personal Finance Awards at SCQF level 4 & 5 will develop knowledge and skills to cope confidently and effectively with the types of financial matters individuals are likely to encounter. From student loans, to pensions, the awards will prepare learners for financial decision making and managing personal finances throughout their lives. The Awards cover a range of topics, including: calculating and comparing costs; household budgeting; different forms of borrowing; tax and National Insurance; credit cards; bank accounts; exchange rates, interest and inflation rates. This qualification is available through schools, colleges and training providers. These awards have a wide potential market. They are open to all learners, regardless of age, academic experience or ability. To achieve each of these awards, learners must pass two end-of-unit e-assessment tests using SOLAR (SQA’s e-assessment system). The awards can be used to offer a progression pathway to other qualifications (see Progression). The Personal Finance Award at SCQF level 5. 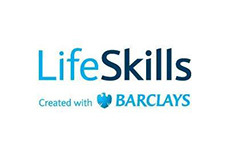 The Skills for Work Course in Financial Services at SCQF level 5. The NPA in Financial Services at SCQF level 6. Centres without devolved authority must come forward for approval and should contact SQA’s Business Development Team for guidance. 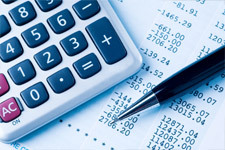 Centres must use the summative assessments available on SOLAR to assess their candidates for the Personal Finance units. Candidates must achieve 50% in all tasks to gain a pass in the unit. If candidates fail a task or tasks on their first attempt they only need to be re-assessed on those specific tasks. The do not need to complete the whole unit assessment again. Centres can use the support packs available on the secure website. These packs provide learning and teaching activities for each unit. There are also practice assessment materials available on SOLAR to prepare learners for their e-assessment tests. SQA support packs are available for both Units. Tutor Support Packs and Learner Workbooks for the level 5 Award are available from the ‘Awards’ section of the SQA secure website.